Schedule change. 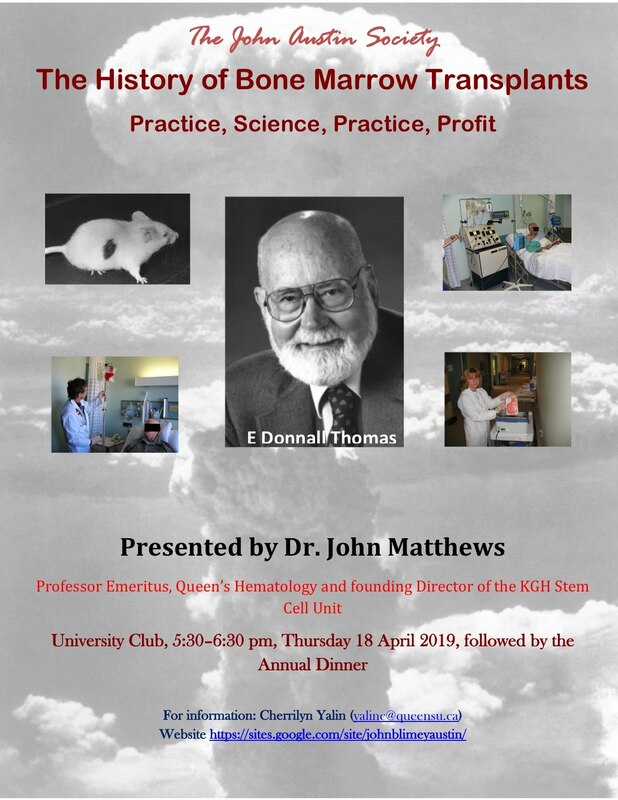 Dr John Matthews, founding director of the Kingston General Hospital stem cell program, will talk on the history of blood stem cell transplants. This talk will be preceded by a short AGM, and followed by the annual dinner.